Here we compare ADT monitored security from Protect Your Home and Cox home security’s basic packages. We hope this side-by-side comparison makes it easier for you to make a decision on which company better fits your home security needs. 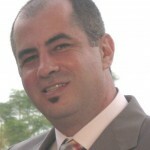 In addition, our expert opinion might help you get clear about your home security decision. Source data: https://www.cox.com/residential/homelife/pricing.html. Last updated Jan 2017. “Cox offers home security plus home automation for a $49.99 activation fee and $50 installation fee plus $39.99 ($29.99 per month if you bundle with other Cox services) per month for monitoring services. Their alarm package only includes two door and window sensors and no remote control. This is fine for an apartment or small condo, but it’s not adequate coverage for most homes. Another thing you need to realize is that even though home automation is being included as part of the monthly monitoring service, the up-front investment to automate your home is costly. You’ll need a new thermostat ($300), X10 light modules for any lights you want to control ($100 each), video cameras ($250 each), plus the cost of an electrician to install it all. Disclosure: Above opinion is my own opinion and I do not receive compensation to provide my opinion. My opinion does not reflect the opinion of Protect Your Home. Last updated on Jan 2017. 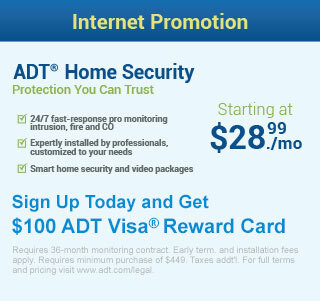 Ready To Get Started With ADT Monitored Security? If our review of Cox has convinced you that they are not the right choice for your home’s security needs, you can speak with an ADT Authorized Premier Provider representative by calling 1-866-946-8419. Be sure to ask about next day installation! To compare ADT monitored security from Protect Your Home to other home security companies, simply click on the company below you would like to compare. You’ll be taken to a page that includes a side-by-side comparison for your convenience.